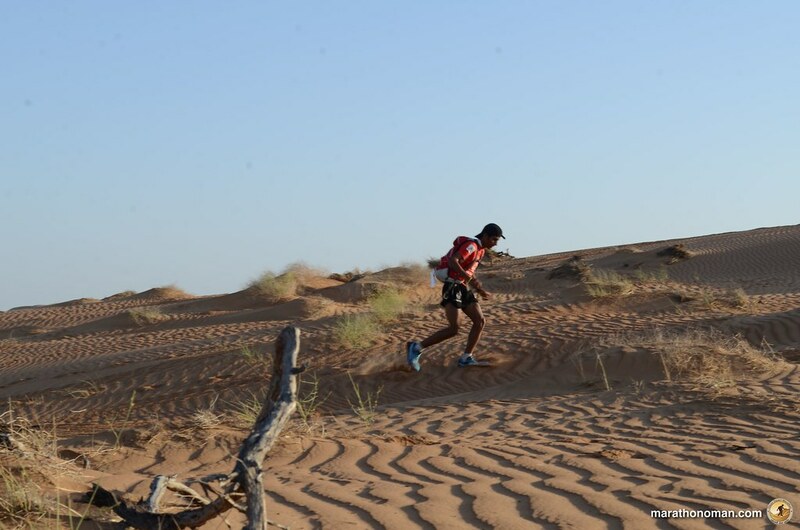 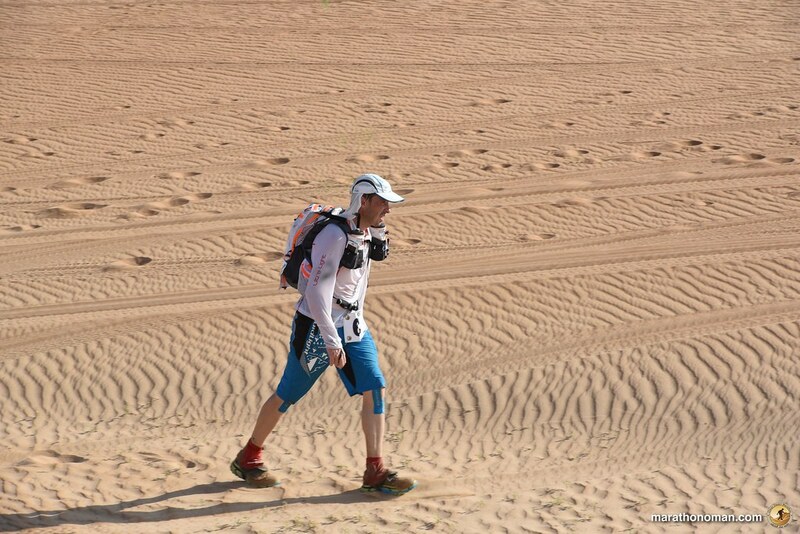 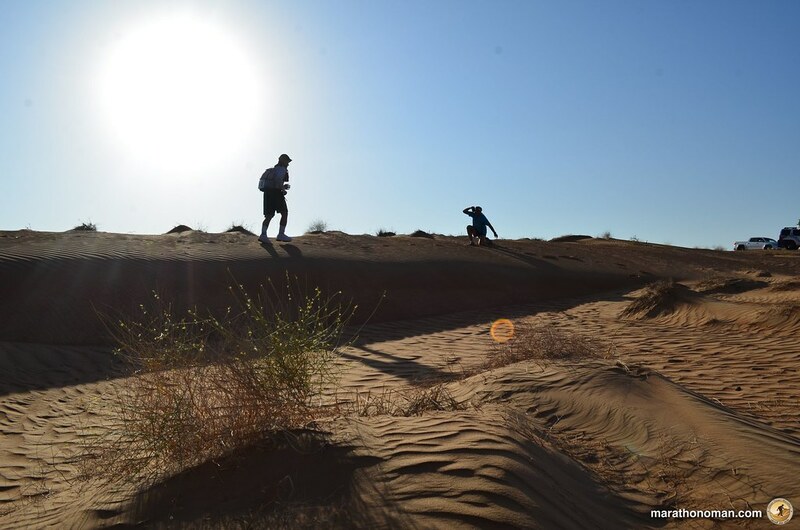 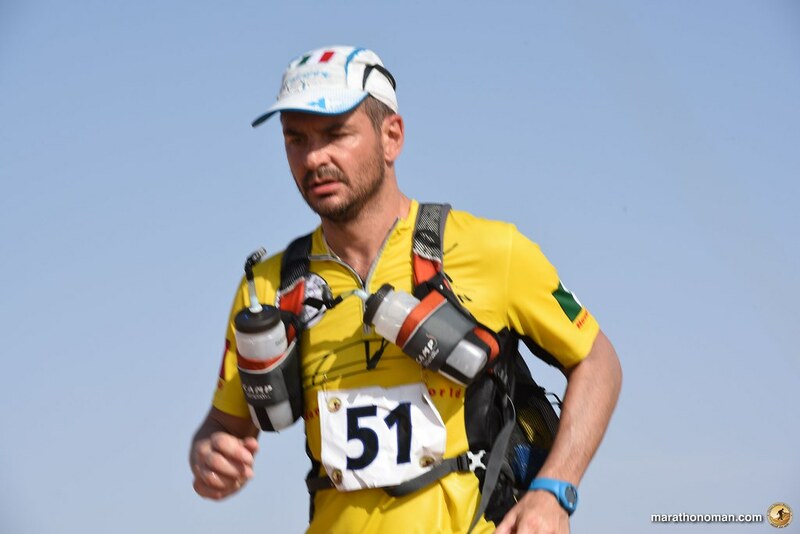 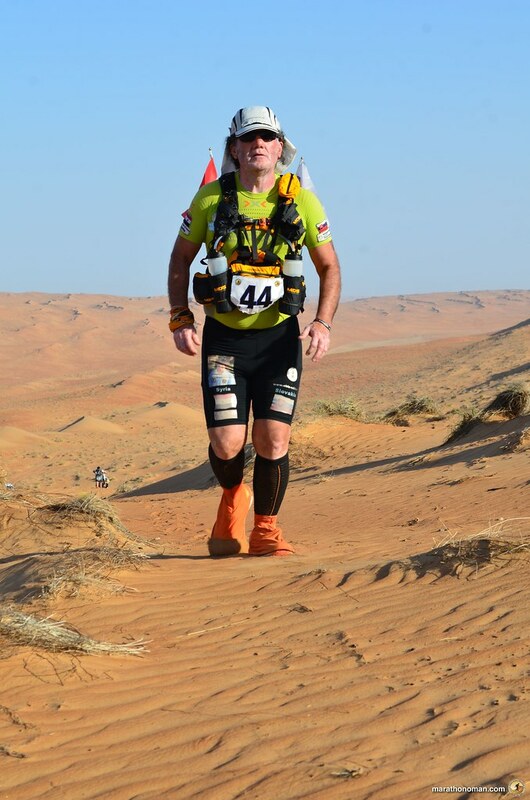 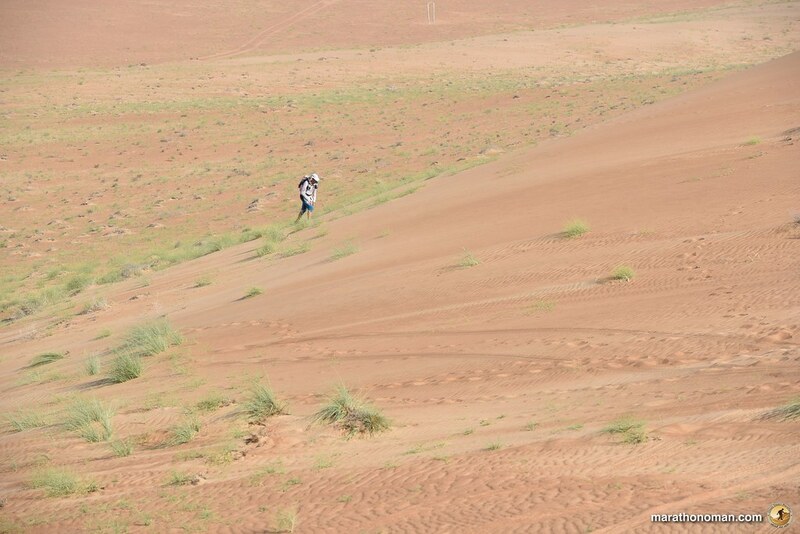 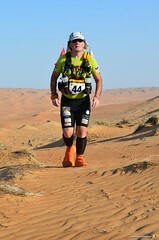 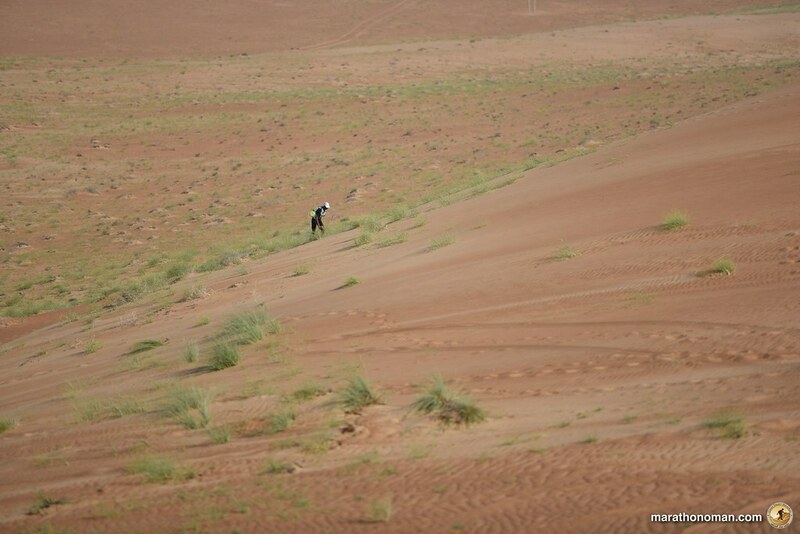 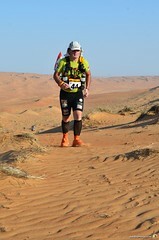 “The previous stages headed south, now we start moving east towards the Arabian Sea, this change of direction will take us to a different landscape: smaller dunes with small spots of green grass and more compact sand” – said Ahmed Al Malki, the Oman Desert Marathon Race Director during the briefing of the fourth stage. 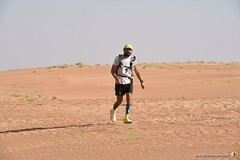 As usually at 6.30 AM the race started and the runners departed from the camp. 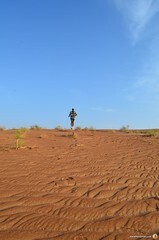 This morning a gentile breeze made the run more enjoyable, at least for the first four hours. 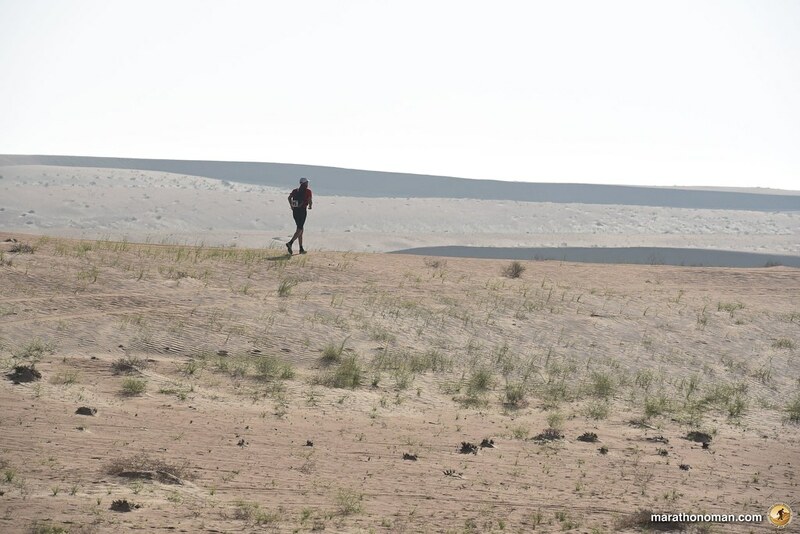 Stage four had 3 refreshment points and two checkpoints: water at kilometer five and checkpoints with water at kilometer 12 and 22. 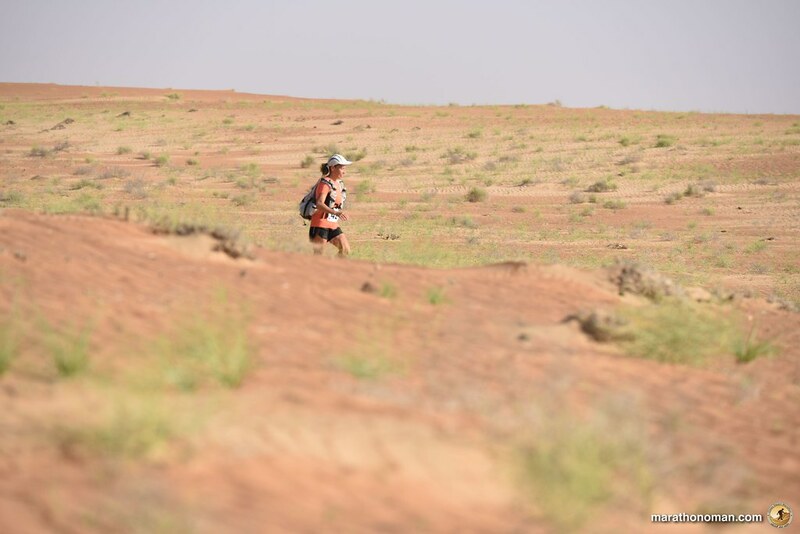 Even if the weather was absolutely perfect a lot of runners suffered for the high temperature. 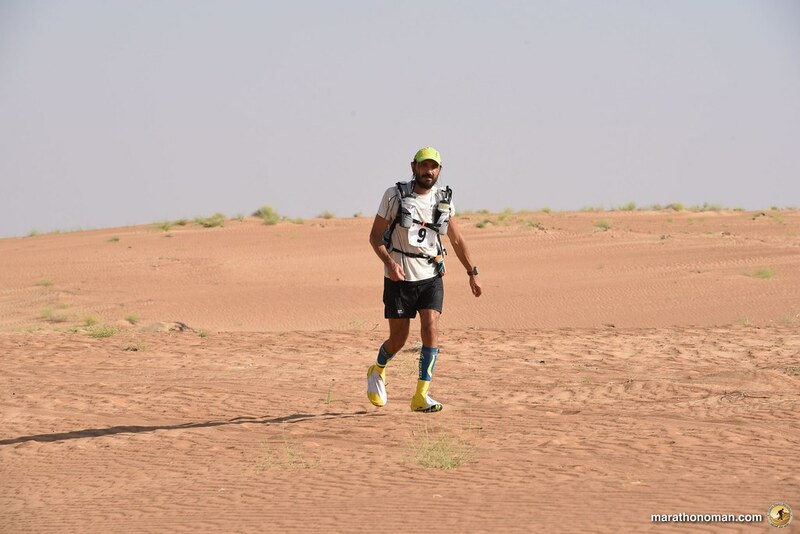 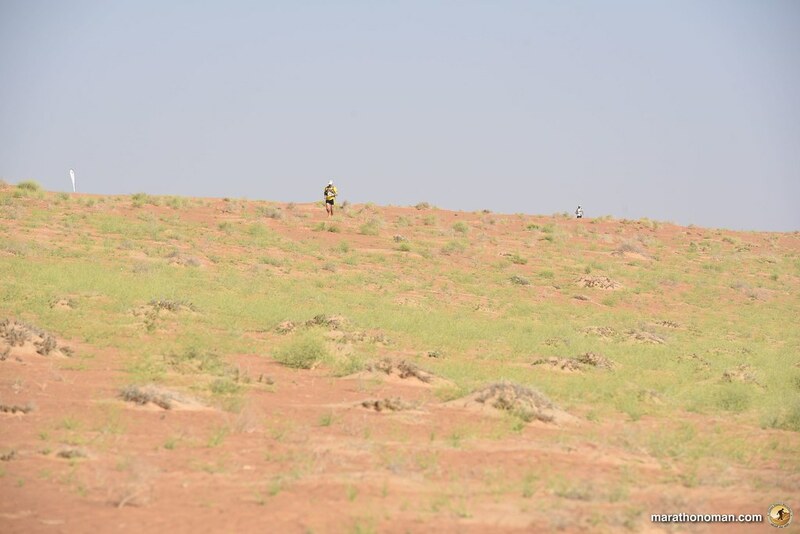 We are now at the fourth day of self sufficiency: the runners that decided to carry less food and did not eat much, are now losing energy and for them the race is getting harder and harder, even if today’s course was easier and faster that yesterday. 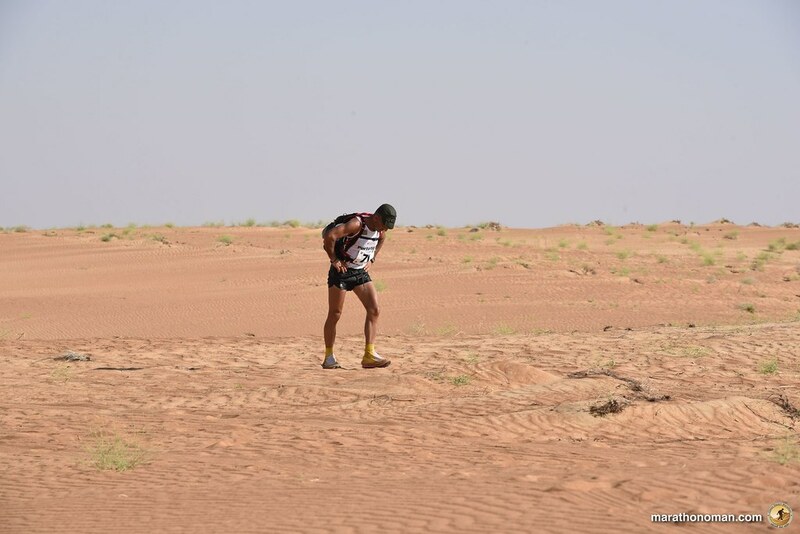 During this stage many runners are also getting tired mentally: this kind of race puts all the runners on an immense mental stress, like the Omani runner Ahmed Alyahmei , that was about to drop at the first checkpoint, but fortunately, after a moment of discomfort he changed his mind and decided to carry on, finishing the race and chatting with the Italian Aldo Sicurella. 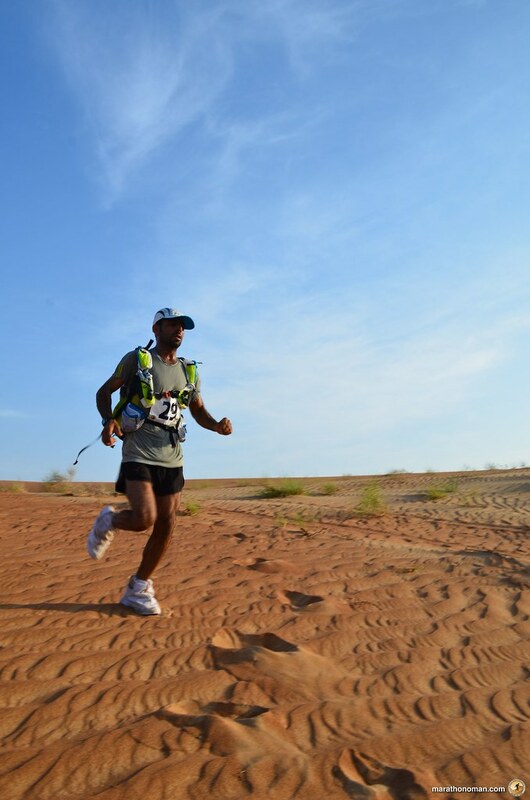 The Oman Desert Marathon is an unique challenge of for this reason: many people from different countries meet and share experiences, good and bad moments and get to know each other. 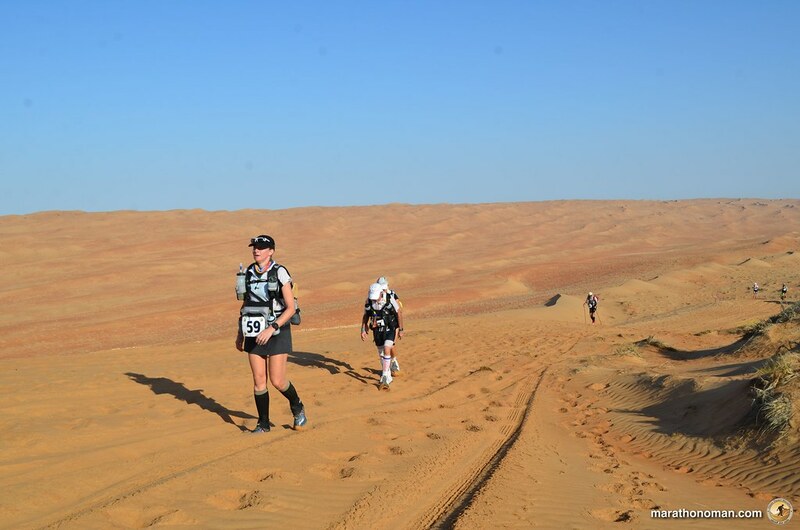 This creates a family atmosphere: runners help each other and offer support but without forgetting the competition on the finish line. 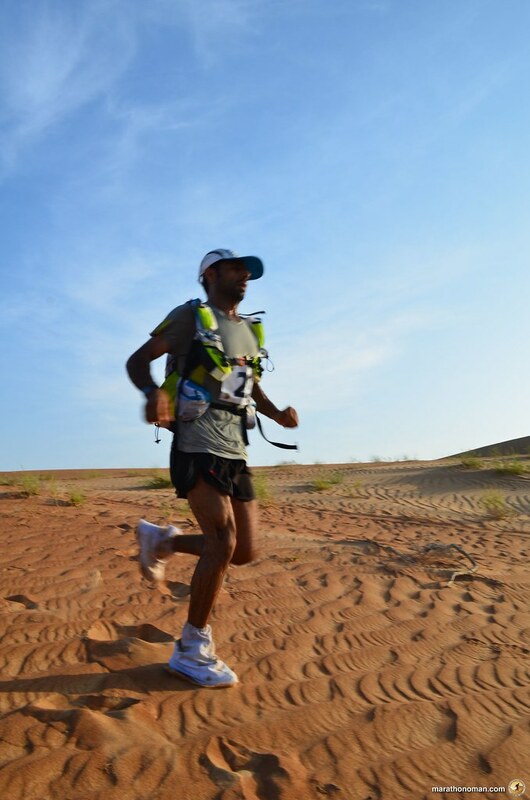 Winner again Rashid Al Murabiti in only 2 hours 2 minutes and 19 seconds, followed by the Jordan Salamah Aaqra, just 85 seconds slower and by Evgini Glyva with 2 hours 12 minutes and 3 seconds. 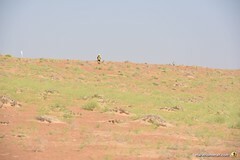 Stage 2,3 and 4 are crossing very remote locations, so there is no network coverage and we drive 3 hours to get to the basecamp. 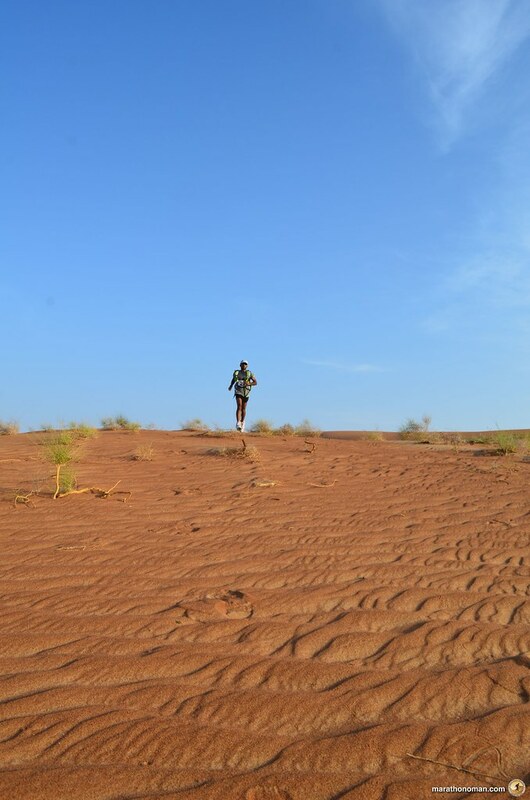 For this reason the results are not complete. 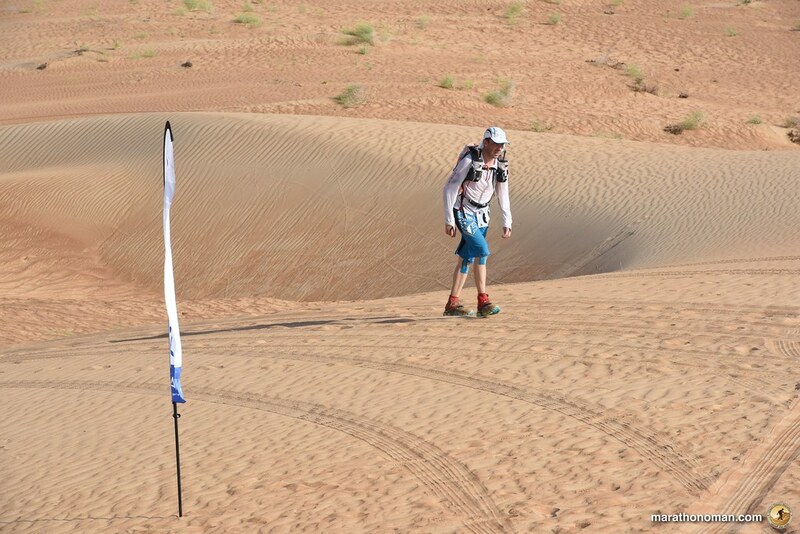 All runners are fine and everybody finished the fourth stage. 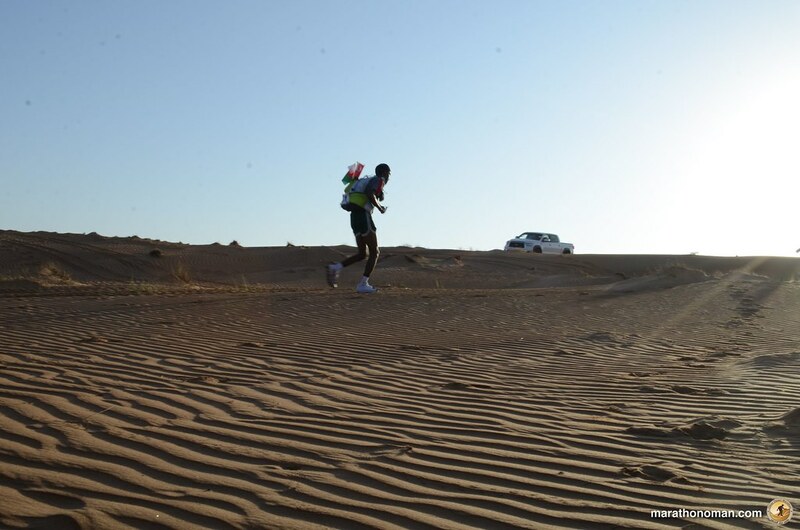 The fifth stage will start at 3 PM for most of the runners, just the first 20 will depart at 5 pm. 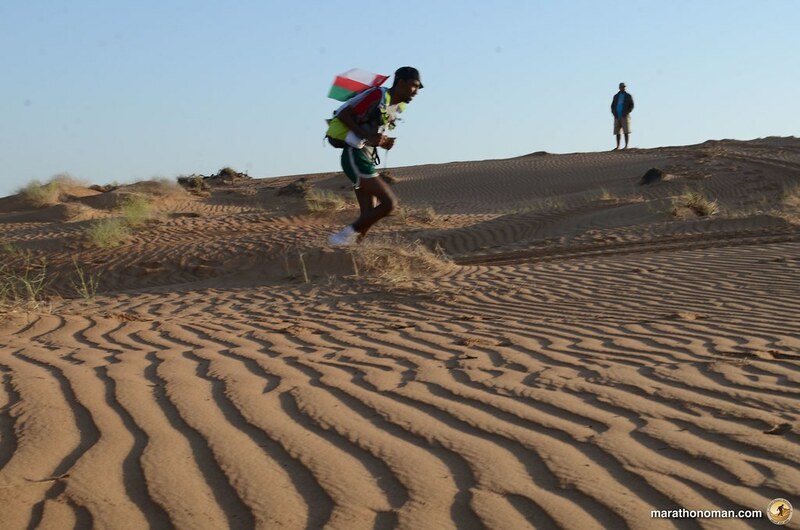 The last runner will cross the finish line around 2 AM and the fifth stage will start at 9 AM. 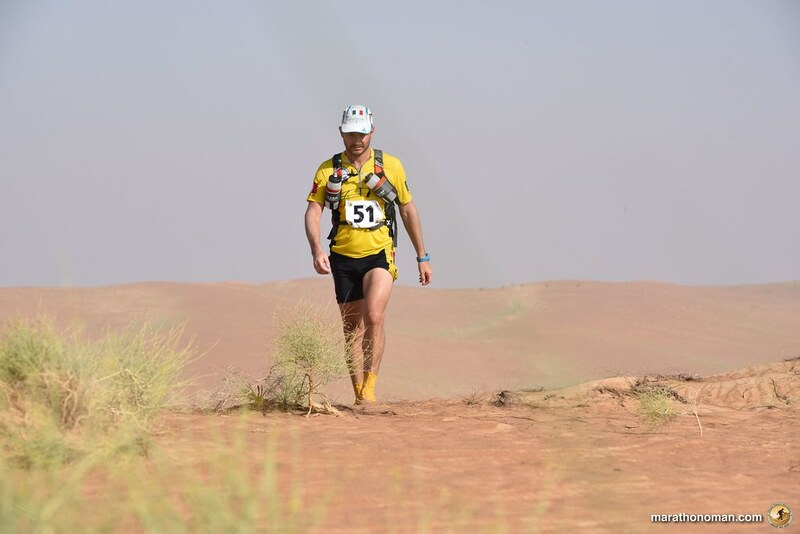 Due to the remote locations and the very short time between stage 5 and 6 we will not be able to post updates, about stage 5. 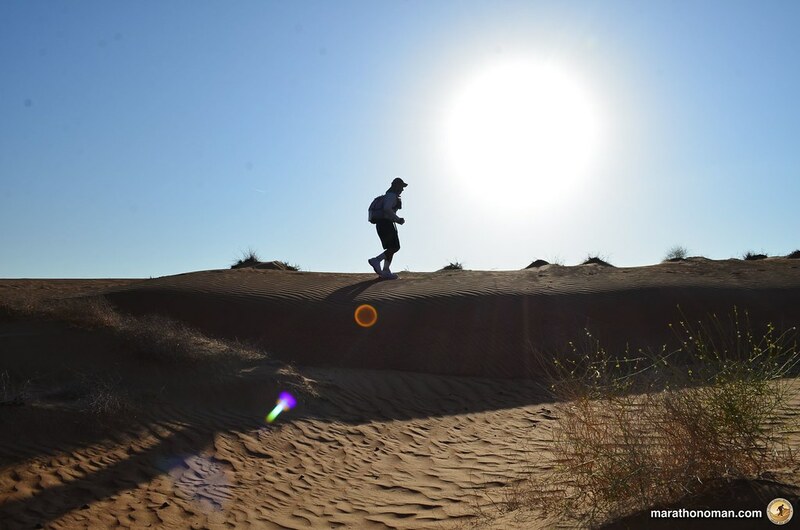 Next update will be after stage 6, on November 12th.